Live in Medina? Close your eyes, spin around, and just a stone's throw away, odds are you'll hit upon a church! 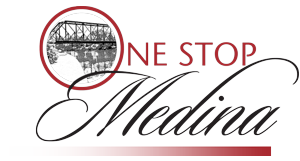 Medina is more than just a charming little community called home. It's a place with very strong, faith-based roots. If you're seeking a place to worship, Medina is more than happy to accommodate. Don't see your house of worship listed here? Please, contact us and let us know. We'll happily add the information.